Vermont Photographer Carolyn L. Bates - Photographer's Blog - Carolyn Bates' Blog - Even in the rain in March, the High Line is super! I just came back from NYC. The High Line was top on my list to see. It was raining. Drats. So What. I took the subway, and walked around construction until I found 10th and 28th st. Looked up high, and there it was. Finding stairs next door, I took them up and up and up. My umbrella went inside out, so I put up the hood on my rain coat, and my iphone in a pocket and out I went. I had visited the archtiects site before going, so I knew what to look for. It was simply wonderful. The old RR tracks, grasses, crocus, plants, whispy wind blown trees, lounge chairs. Huge spaces between or inside of buildings provided tables for "tea" if you happened to have brought some with you. or relief from the weather. The river snuck up on me. I had no map. I didn't need one. You just walk, sit, look, and wonder and marvel at being able to walk for over a mile without a stop light, a car, on wandering pavers and plants. What good luck NYC has to have had a few people discover this dilapidated old rail road and create from almost nothing a place that the world wants to come and see. Crumbling buildings in the neighborhood are now under construction every where. And at the end, Untitled, a ten star restaurant, awaits your arrive. As does the Whitney Museum. The Mission: Through excellence in operations, stewardship, innovative programming, and world-class design, we seek to engage the vibrant and diverse community on and around the High Line, and to raise the essential private funding to help complete the High Line’s construction and create an endowment for its future operations. The High Line design is a collaboration between James Corner Field Operations (Project Lead), Diller Scofidio + Renfro, and Piet Oudolf. THE STRUCTURE: Converting each section of the High Line from an out-of-use railroad trestle to a public landscape entailed not only years of planning, community input, and work by some of the city's most inventive designers, but also more than two years of construction per section. 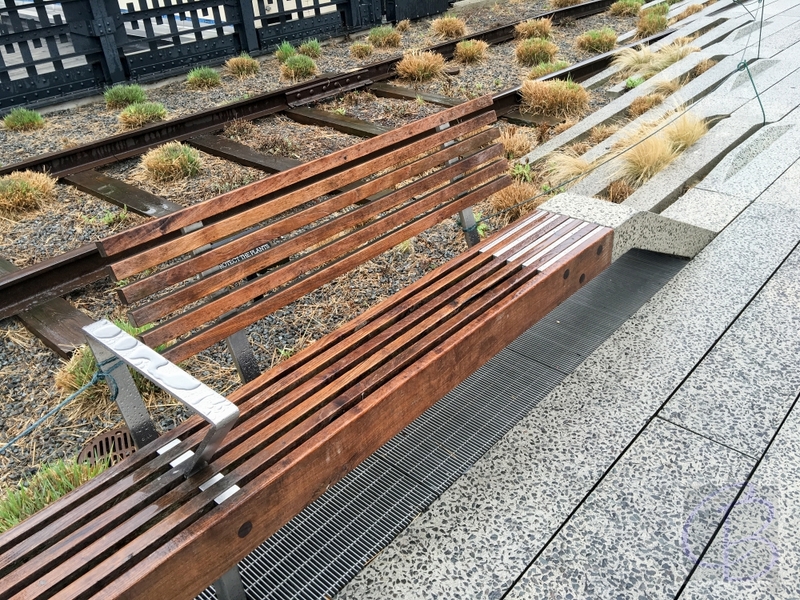 PLANTING DESIGN: The High Line's planting design is inspired by the self-seeded landscape that grew on the out-of-use elevated rail tracks during the 25 years after trains stopped running. The species of perennials, grasses, shrubs and trees were chosen for their hardiness, sustainability, and textural and color variation, with a focus on native species. Many of the species that originally grew on the High Line's rail bed are incorporated into the park's landscape. Check out my post on TripAdvisor.com!